Marc Newson’s has already designed almost everything about Qantas: business class sleeper seats, aircraft interiors, onboard products, and airport lounges. And now, Newson style will welcome travelers at check-in. 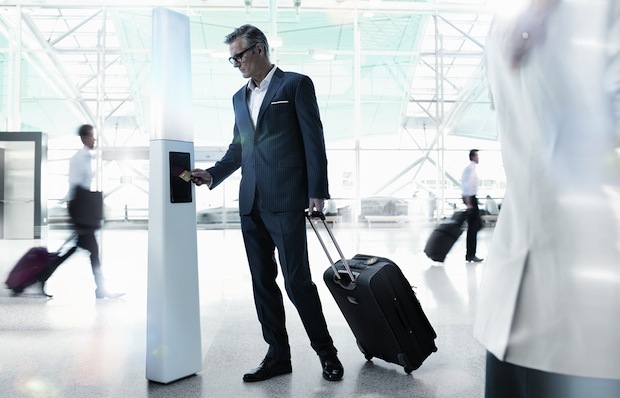 The Next Generation Check-In process is designed to improve both efficiency and ambiance, allegedly “eliminating airport queuing,” according to the airline’s Executive Manager of Customer Experience. Linelessness seems too good to be true, but travelers will certainly enjoy greater speed, thanks primarily to RFID-enabled check-ins, which will allow frequent fliers to skip a few steps in the boarding process. Lest all these improvements seem purely technological, rest assured the aesthetic flourishes were not forgotten. 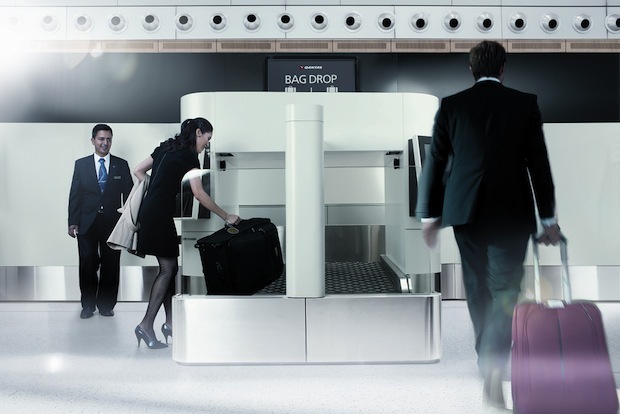 Next Generation Check-In kiosks in the entry halls feature customized color and detailing in the light, aerodynamic style typical of Newson’s Qantas work, and optimal for a space that most people just want to breeze through and forget.